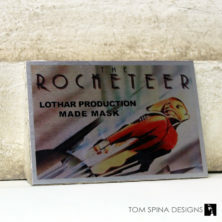 A custom display for an original production made Rocketeer Lothar mask created by Rick Baker’s studio for the 1991 sci-fi action adventure film. This Rocketeer Lothar mask was one of the pieces we helped to conserve and display for Prop Store’s Rick Baker Monster Maker Auction. 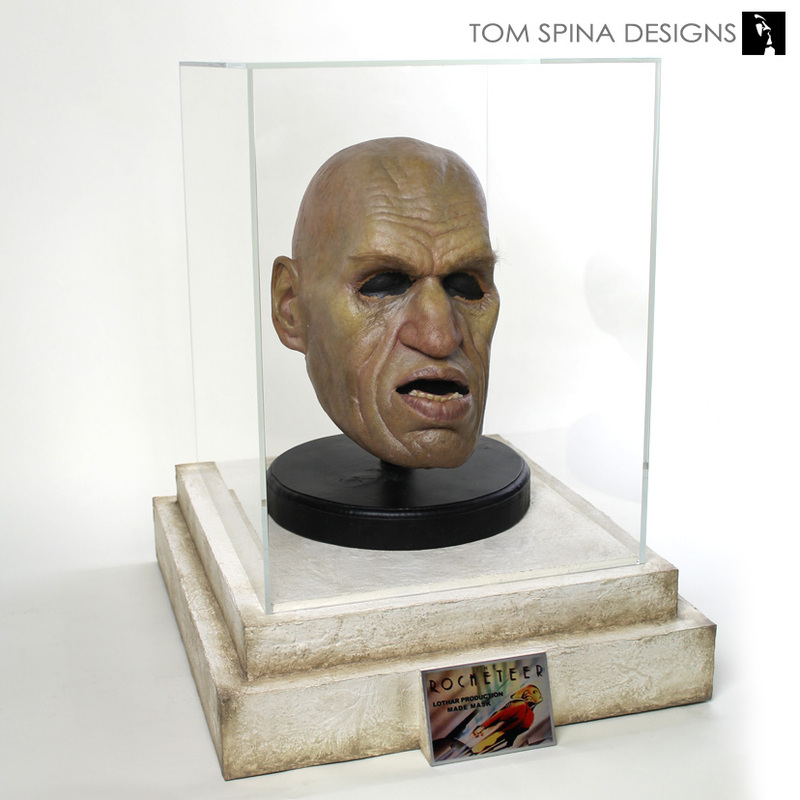 The incredible foam latex mask (based on famed film heavy, Rondo Hatton) was given more of a sympathetic conservation to help the fragile material stand up better to the test of time, and didn’t require drastic restoration. 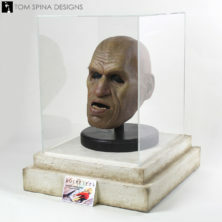 The mask was purchased at auction by one of our clients, who brought the movie prop to us to have a custom display with UV filtering acrylic display cover created for it. UV rays, from sunlight or fluorescent bulbs (compact or otherwise), can be extremely harmful to foam latex and latex rubber masks and props and protecting them from even incidental exposure is important to maintaining them long-term. 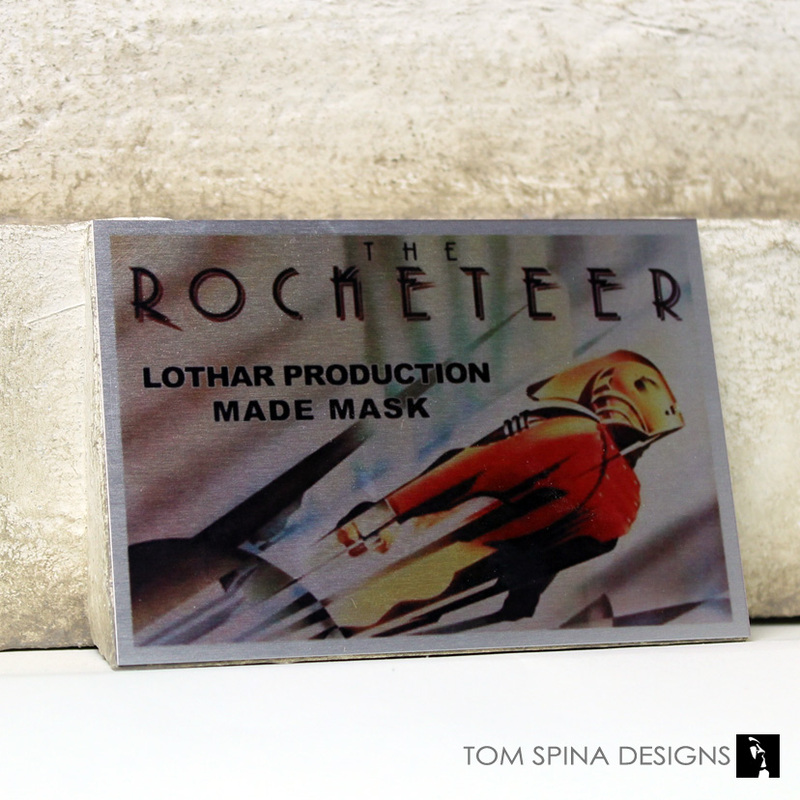 For the display base, we wanted something that payed homage to the Rocketeer film with some theming, but let the focus remain on the prop itself. 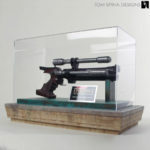 We created the double stepped base out of MDF wood to give us a very solid and heavy foundation. We then coated the base to give it the look and texture of stucco style stone. Once the texture layer dried we added several layers and washes of paint to create a weathered finish that felt a bit unbleached and 1930’s in style. 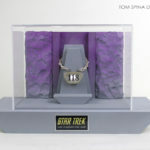 We completed the Lothar mask display with a custom printed metal plaque which Melissa designed with input from our client. 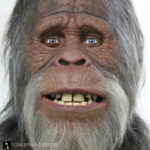 The end result is a fitting tribute to Rick Baker’s work on this wonderful film!